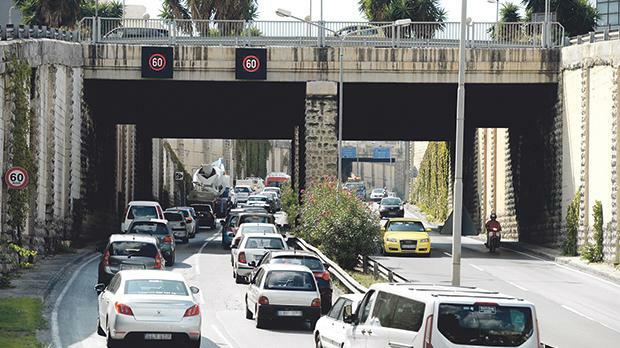 While empathising with the concerns raised by business owners on the penalty point system, the Malta Insurance Association warned against making any exceptions, saying this would be counterproductive. The association made the point in a statement issued on Friday in which it reacted to the criticism made by the Malta Chamber of Small and Medium Enterprises (GRTU) on the system which has been in force since December. The Chamber had complained that some of its members especially owners of car leasing companies had their personal driving licence suspended after incurring the penalty points accumulated by third parties using their cars. This was especially the case for speed camera tickets, as tickets are issued on the strength of the vehicle’s registration plate in view of the fact that the car in not stopped. Hence, in the eyes of the law the contravener may appear to be the person on whom the car is registered. While describing the system as “half-baked” the GRTU called on the authorities to address these shortcomings. However, insurers yesterday noted that the initial feedback about the penalty point system was positive. Since its introduction there is a general feeling that this system has raised awareness among motorists regarding driving under the influence of alcohol and using a mobile phone, the association said. On the other hand, it acknowledged there were areas for improvement such as ensuring the penalty point are allocated to the driver and not the proprietor. While sharing the concerns expressed by the GRTU, insurers noted that it was important to establish if certain shortcomings were the result of inefficiencies in the system itself or from lack of action and proper controls by the registered owner. The insurers’ association pointed out that there is already a mechanism in place to cater for the cases raised by the GRTU. However, in order for this system to function well, business owners need to have measures in place to establish who was driving the car when the offence was committed. The point system, together with other changes such as the lowering of alcohol limits, have been introduced to encourage responsible driving and introducing exceptions will diminish its effectiveness and therefore cannot be contemplated, the Malta Insurance Association warned. Furthermore, it said that the point system can be even more effective if insurers are in a position to use to reward careful drivers by offering them relatively lower premiums when compared to those who have earned penalty points for breaching traffic regulations.